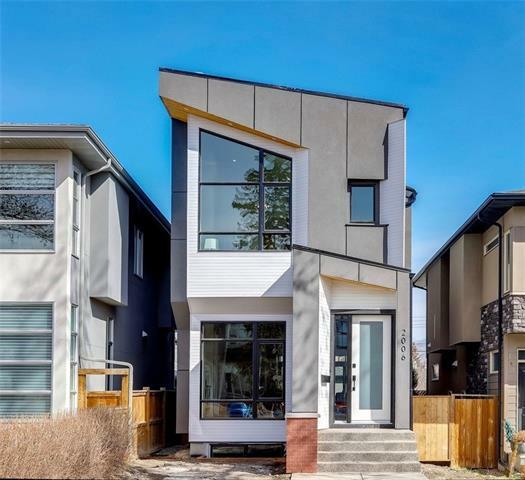 DESCRIPTION Quality is evident in every detail of this Niro built Altadore home, which features an open design, high end finishings, large windows and thoughtful lighting. Wood tones contrast with light walls and cabinetry for a warm, modern vibe. A stone fireplace adds eye-catching texture to the space. Elite appliances include a six burner gas range, and a sleek island completes the showroom kitchen. Wood and glass rails frame open stairs to the upper floor. The south wing is a private master retreat, featuring a large walk-in and an elegant ensuite with a steam shower, in floor heat, and a soaker tub. The north wing offers two bedrooms, a bathroom, and laundry. The lower level is set for entertaining with a bar, a fourth bedroom and bathroom, and heated floors. A south yard features a patio for outdoor living and a double garage off the paved back lane. A three zone Sonos system, A/C and in-ground sprinklers are added luxuries. This home is steps from Sandy Beach and Glenmore Park with easy access to major routes. Home for sale at 1927 48 AV Sw Calgary, Alberts T2T 2T4. 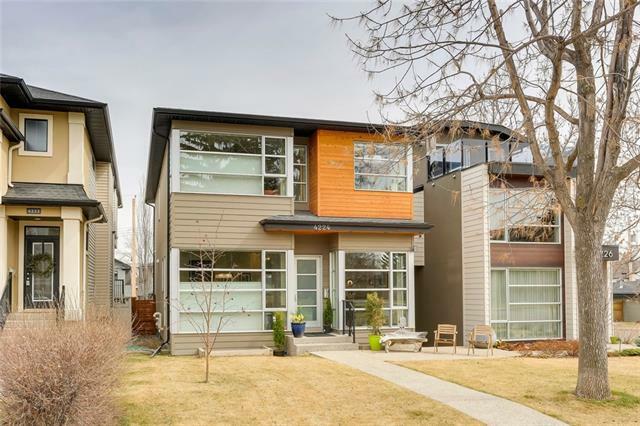 Description: The home at 1927 48 AV Sw Calgary, Alberta T2T 2T4 with the MLS® Number C4228687 is currently listed at $1,025,000.